Being a member of a co-op or working with certain manufacturers usually comes with many benefits. From cost savings to increased exposure, every member of the co-op should feel that they’re part of something bigger that makes each participating business a little better. 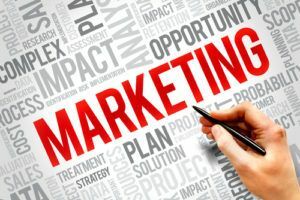 Marketing is an essential ingredient in this mix, so here are some ways you can get the most from HVAC co-op marketing dollars. Obviously, one of the reasons you’ve joined a co-op is because you understand the benefits that can be realized when you’re able to provide customers with a centralized place from which to obtain all of their service needs. That said, it only makes sense to unify your lead generation efforts by incorporating messaging that targets potential customers and advertises the entire co-op’s services. Mailings, emails, referrals, and testimonials make a big impact on the market without each company being forced to dip into their own funds to create attractive collateral. If the manufacturer or wholesaler has a co-op marketing program, read up on it so you know the requirements. For example, the manufacturer may require their logo to be in a certain location and/or size if you are sending out mailings using co-op dollars. If you’re considering a direct mail campaign to your existing customers, or neighborhood/radius campaign to prospects in your service area, submit the program to your manufacturer or wholesaler and ask if they would be willing to split the cost for a co-branded approach. Trade shows can bring big business your way, but the cost of exhibiting is typically pretty substantial. You can get the most from HVAC co-op marketing dollars by working with a professional marketing firm who can help you integrate all necessary messaging into signage that can be shared by members at shows. If you are a contractor, what ways have you seen the best success with your HVAC co-op marketing efforts? What do you like or dislike about it?